Our patrons are Dame Anne Begg and Professor Sir Michael Bond. Anne was appointed Dame Commander of the Order of the British Empire in 2011 in recognition of her tireless campaigning for the interests of disabled people and for equal opportunities. She has been particularly committed to lobbying for better provision of pain relief services. Michael is Emeritus Professor of Psychological Medicine, University of Glasgow and, among many honours, was knighted in 1995 for Services to Medicine. He is one of the world’s leading authorities on the psychological aspects of pain. The charity trustees comprise the members of the Executive Committee. Our advisory board includes people with pain who have a wealth of experience of campaigning and working in the media and internationally recognised medical experts from across the UK. Pain Concern relies on the work of unpaid volunteers who man our helpline, deliver leaflets, staff our busy office and help to produce content for the radio show, newsletter and website. The organisations we work closely with include IASP and the UK pain societies, Pain UK, the Scottish Government’s Chronic Pain Steering Group, and the Chronic Pain Policy Coalition. From the very beginning Pain Concern has brought together people living with pain and healthcare professionals specialising in this area to provide support and information and to campaign and advocate for better awareness, understanding, treatment and management of pain. Our charity grew out of a patient group formed to consult with Lothian Health Board’s Needs Assessment for chronic pain in 1994 and a support group for people who had completed a pain management programme at Astley Ainslie Hospital, Edinburgh. Pain Concern was founded on April 26th 1995. We began as a self-help group – for ten years we ran Astley Ainslie’s pain management support group – and we have also operated a helpline service since 1995. However, right from the start we were interested in policy and were involved in local campaigning. We were secretaries of the Scottish Cross-Party Group on Chronic Pain from 2003 to 2012. The work of the group was influential in achieving the government’s appointment of a national lead clinician for chronic pain. 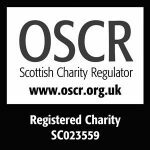 Although we are registered as a charity in Scotland, and remain very closely involved in work with Scottish healthcare and government organisations, we have expanded our focus to work with pain clinics, medical specialists and volunteers from across the UK and our membership also reflects this. We are founding members of Pain UK, an alliance of charities campaigning for people in pain. Our work on providing information to people in pain began with the launch of Pain Matters in 1995 and has continued through the production of leaflets which have proven popular with physiotherapy departments and pain clinics across UK, as well as individuals with chronic pain. In 2009 Pain Concern was awarded first place in the NAPP Chronic Pain Awards receiving a grant of £10,000 to develop an internet radio show aimed at those living with chronic pain. This allowed us to start a very successful collaboration with Sony-award winning broadcaster Paul Harvard Evans, who has produced several series of podcasts of Airing Pain informing and supporting people in pain. Our goals: To produce information, to provide support and to raise awareness for those with pain. Contact details for our office, helpline, Airing Pain, Pain Matters magazine and media team.